Music & Music Videos for all Occasions! 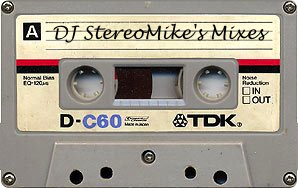 Disc-jockey/Video jockey “Stereo Mike” spinning all your favourite tunes or music videos of the 60’s,70’s,80’s, 90’s up to today’s club, hiphop, house and top 40 selections. Check out our demo mixes. All songs in mixes above can be displayed as music videos on the big screen! So why not add a video DJ to your night so you and your guests can see all your favorite classic and pop bands and singers. Here is a list of other event services in and around the Montreal area, that are committed to help make your special day a memorable one! © Universal Dance Muzik Ltd 2018. | All rights reserved. | Design: HTML5 UP. | Party on !